A clean, delicate and not overly sweet taste with hints of vanilla and distinct floral overtones. This raw, cold-processed 100% natural honey has its origin in the flowers of Romanian Robiniapseudoacacia (also called 'black locust') acacia trees. It offers an unprecedentedly clean, delicate and not overly sweet taste with hints of vanilla and distinct floral overtones. Often called 'water honey' or 'moonflower honey' because of its incredibly pale colour, acacia honey owes its distinctive appearance to its low natural acidity, our unique cold filtration process, and the remote, pristine, all but uninhabited hillsides where these groves (and the bees who tend them) thrive. However, it's most important properties are those that cannot be seen - or even tasted - directly. 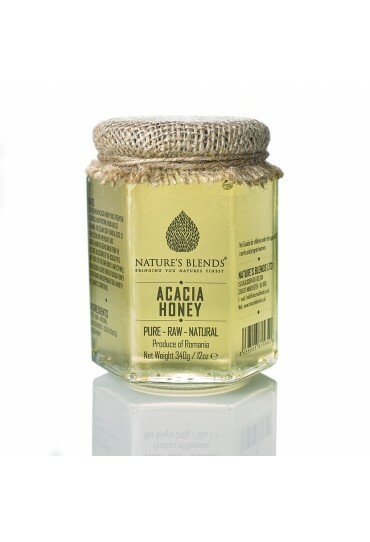 Acacia honey is one of the least allergenic of all honeys because of its naturally low pollen content. Like all honey, it has antiseptic and antimicrobial properties, and has been used in healing for generations. It is also a powerful antioxidant, and a vital (not to mention delicious) part of any diet that focuses on these foods. 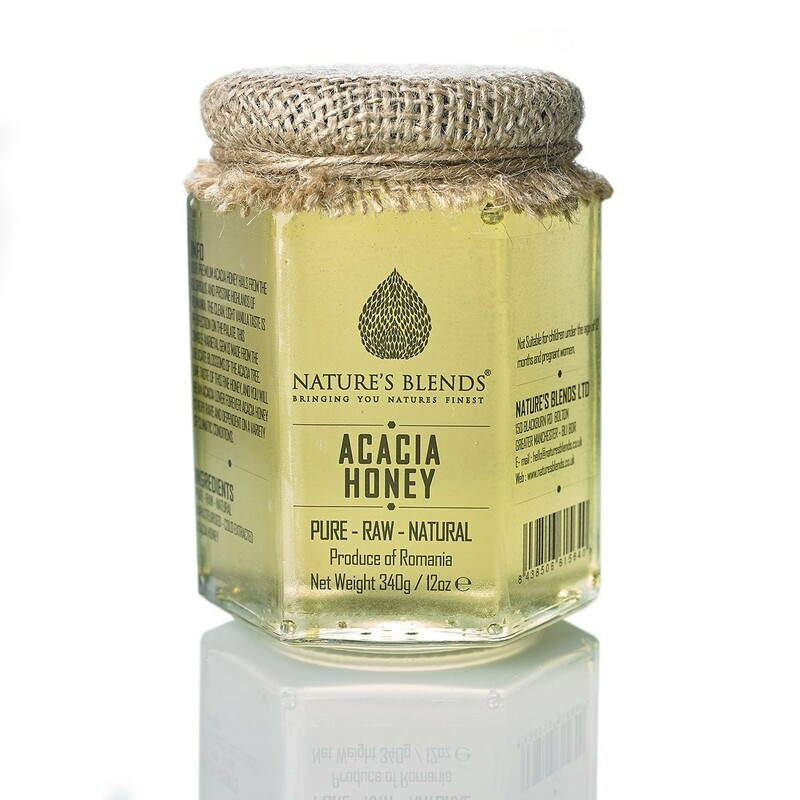 The fact that this acacia honey is raw, cold filtered and processed entirely naturally means that it retains all of its original goodness, in ways that supermarket honey - even store bought acacia honey - simply cannot. It is very high in polyphenols such as gallic acid and various flavonoids, and forms a part of many natural remedies for just this reason. Acacia honey has one more unique property - it resists crystallising longer than any other honey without any processing. We all know the frustration of seeing a lovely jar of honey turn all but solid before we have time to use it. Because acacia honey has a high fructose/glucose ratio, it lasts much longer on the shelf, even after being opened.